LinkedIn had a bit of a slow start when compared to other social media networks. You certainly couldn’t call its rise meteoric. Like the tortoise in his race against the speedy hare, it has kept plodding along and is now starting to catch up to the big boys. Its unique selling point has always been its professional focus. You won’t find any references to the most amazing scrambled eggs for breakfast or any pictures of grumpy cat. You will find endorsements for business professionals, business community chats, and business pages. You will find people networking, picking up leads, and even recruiting new employees. But, it has lacked some features that make Facebook, Google+, and Twitter so easy to use. LinkedIn recently launched a new feature that will allow users to ‘tag’ other users when they’re being mentioned in updates; much like Facebook does (Stephen Tamlin – Social Media Today). You know the feature we’re talking about; the one where you start typing the first few letters of a friend’s name and Facebook auto-suggests a couple of people or pages you like. You click the one you want and Facebook includes a link to their profile. Well, this is the same. According to TechCrunch, the users or companies mentioned will be notified every time they’re mentioned in this way. According to Johnathan Podemsky (LinkedIn Blog), this is just one of the changes the network is rolling out. Others include suggested searches, advanced search, personalised search results, and a rather nifty feature called automated alerts, which allows you to save searches and which will then alert you should the results change. Job seekers are also going to benefit from some changes, which will no doubt go down well with all the users who are hoping that their hard work making themselves more attractive to recruiters will start paying dividends. Vaibhav Goel, from LinkedIn, says that people will be able to better manage their job search, especially through first-degree connections. 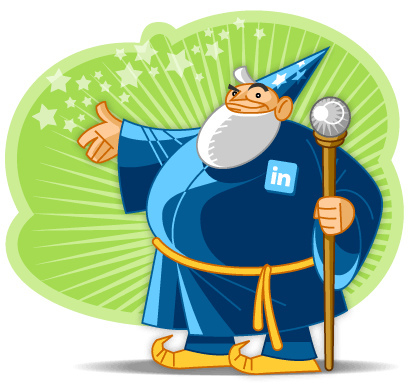 If you’re a LinkedIn Job Seeker Premium member, you’ll get even more features. The new features may help job seekers find jobs, but LinkedIn is also starting to have a powerful influence over employers when it comes to recruitment. This means that you not only have to pay meticulous attention to your profile, you also have to be active on the site, and you have to start using some basic SEO, like keyword insertion. That’s right; keywords that are related to specific careers and industries are becoming very important in profiles. You’ll also need to learn some basic online marketing tactics and that means putting your best face forward, literally. Use a good profile picture and not something grainy from your phone or webcam. You don’t need to pay for a professional headshot, but try to get something that captures your personality while making you look like a star. In case you’re still in some doubt as to LinkedIn’s power in recruitment, consider that 64% of employers in New Zealand use the platform to find new recruits. If you have a LinkedIn profile, but you haven’t bothered to check in for months (years? ), best you start paying it more regular attention. Just don’t mention what you had for breakfast.